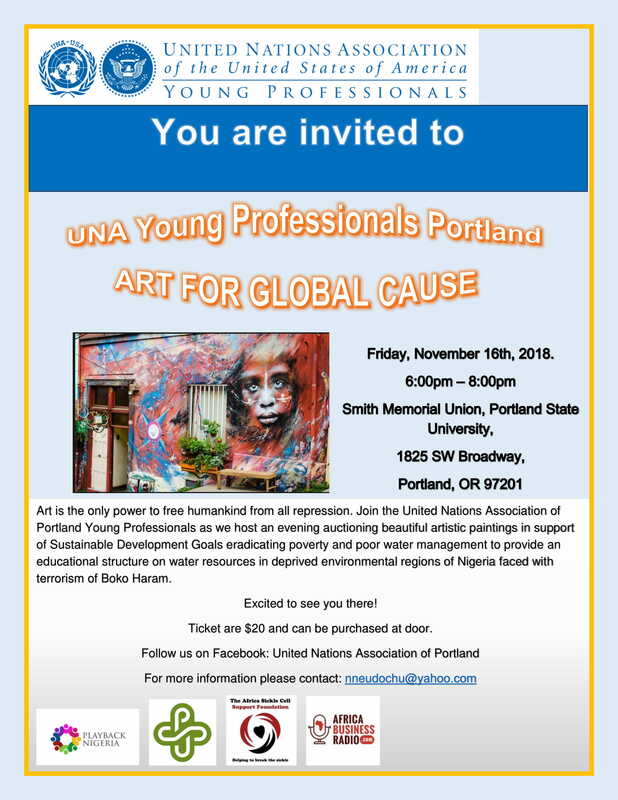 Join the UNA Young Professionals in celebration of art to support the Sustainable Development Goals to eradicate poverty and poor water management in Nigeria in support of regions impacted by Boko Haram. Your $20 ticket includes a delicious African dinner! Click here to see the event flyer with more details!